What does 150 VIPs, a penthouse view, extraordinary food, refreshing drink, a jazz duo, and a thumping DJ equal? An amazing, memorable party. 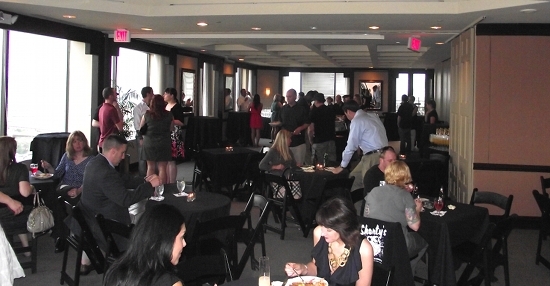 And wow, what a turnout at the first installment of Overit Media’s Refresh parties. If you made it out to celebrate the kick-off of summer and launch of our OStudios sister company, we extend our sincere gratitude and hope you had an incredible time. Thank you! If, by chance, you RSVP’d and couldn’t make it out last night, still, we thank you for thinking of us and hope you can make it out to one of our events in the future. We at Overit Media sincerely hope you were able to fully take in the room, food, drink and top-quality service that Taste delivered last night. As we thank them profusely, we also hope you’ll keep them in mind for your next event or evening out with family and friends. Thank you again for coming out and we hope to see you at another Overit event!